Air Force Results Indian Air Force Airmen 01/2020 Exam Result Declared.Check all the details regarding Phase 2 test and its admit card here.Indian Airforce had declared the results of Airmen exam 01/2020 on its official website airmenselection.cdac.in. Candidates who have cleared the exam are shortlisted for the Phase II exam for which admit card has been uploaded . The result has been declared for online Phase I Examination which was held from March 10 to March 14, 2019. Candidates can download the airmen result and Phase 2 admit card online. The exam was held between March 10 and 14, 2019. Step 2: Click Login for 02/2020, under the candidate tab. Step 4: Candidates will then have to enter E-mail Id and Password. Step 5: Click on the 'Sign-in' button. Step 6: Check and download the result. If candidates have any queries reagrding the Indian Air reagrding the Indian Air Force Airmen Result, they can make a call at 020 – 25503105 / 106 or send a mail at at casbiaf@cdac.in (Monday to Friday) from 9.30 am to 1.00 pm pm and 2.00 pm to 5.00 pm. Enrollment shall be for an initial period of 20 years which may be extended up to the age of 57 years (subject to service conditions). Initially, candidates shall be sent for a Joint Basic Phase Training (JBPT) at Basic Training Institute, Belagavi (Karnataka). On successful completion of JBPT, candidates will be allocated trades and sent for trade related training of specified durations which shall include security training. 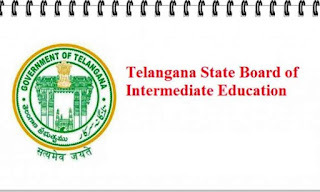 Telangana Intermediate Result 2019 TSBIE to announce 1st, 2nd year exam 2019 Results are expected to be declared in the second week of April.The Telangana State Board of Intermediate Education or TSBIE is set to announce the results for 1st and 2nd year of TS Intermediate exam 2019. The Telangana Board will declare the Inter results on its official websites at bie.telangana.gov.in, results.cgg.gov.in. Last year, the TS Intermediate result for both first and second years was released in mid April,So, the result can be expected soon. Candidates who have appeared for the Telangana Board Intermediate 1st year examinations can expect the declaration of the result after the Telangana Lok Sabha polls 2019. A new page will appear. Here fill your hall ticket number and the relevant that appears on the screen. Check and download your result for future reference. 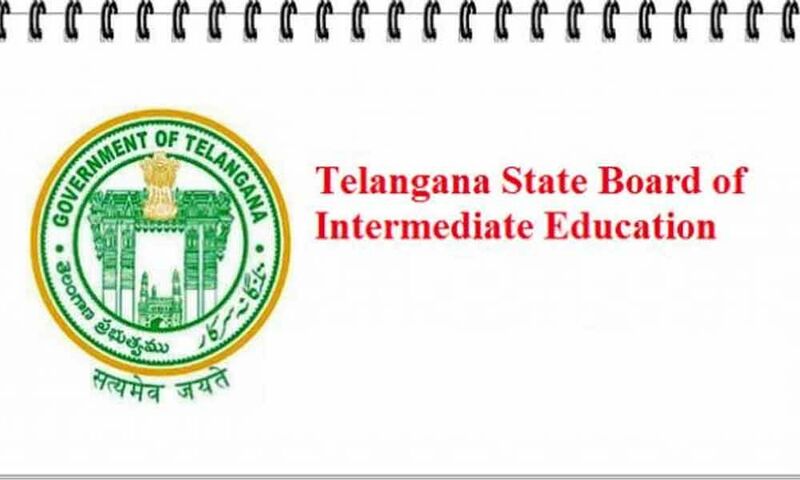 Telangana State Board of Intermediate Education, TSBIE would be releasing the result for the ts inter results and inter results 2019 ts examinations inter results released in the month of April. As per reports, more than 5 lakh students had appeared for the intermediate exam. The result has been declared by Education Minister Jagadeesh Reddy, who holds the portfolio of minister for Education, at the board office in Hyderabad. website for Telangana Board – manabadi.com and schools9.com, the result would be released on April 8, 2019 Tentively or mid April. The results would be available on bie.telangana.gov.in. This year around 4,36,621 candidates had taken part in the TS inter 1styear exam and they all are now must be planning for their next step after Inter but before that, they need to wait for the Telangana Inter first year result. Here we have mentioned the tentative dates for the result of the above mentioned exam. Telangana Intermediate 1st Year Board Exam was scheduled in between 27th February – 16th March and its result will be declared in the 2nd week of April. TS Intermediate 2ndBoard Exam was scheduled in between 28th February –18th March and its result will be declared in the 2nd week of April. TS Board Inter 1st Year Vocational Exam was scheduled in between 27th February – 9th March and its result will be declared in the 2nd week of April. TS Board Inter 2nd Year Vocational exam was scheduled in between 28th February –11th March and its result will be declared in the 2nd week of April. The wait for result brings students under tremendous pressure. Telangana Board Intermediate Result 2019 is an important event for the students of Telangana board. To get the regular update on the result of TS inter 1st year, students can bookmark this page. In Telangana, candidates who had appeared for the TS Inter 1st and 2nd year examination 2019 can expect their results to be declared by the mid of April. The Telangana State Board of Intermediate Education will, in all probability, declare the TS Inter Result 2019 for both 1st and 2nd year before April 15 on their official website at results.cgg.gov.in and bie.telangana.gov.in. The Intermediate Part I and Part II examination for the academic year 2018-19 in Telangana started on 28th Feb, 2019 18th March 2019. For the 1st year and 2nd-year standards, TS board declares the results for the vocational stream as well as for the general streams. TSBIE announces the results for each of the streams on the same dates. But the links to check the TS Inter Results 2019 for each stream will be different. To know the important dates related to TS Inter Result. Although the Board has not yet confirmed the date of the Matriculation Result (Bihar Board 10th Result 2019), but if the Bihar Board sources believe, then the results may be released at the end of this week or at the beginning of the second week. Students who attended these examinations would be able to check the results of the Bihar Board 10th Result 2019, official website biharboardonline.bihar.gov.in or biharboard.ac.in or bsebinteredu.in and examresults.net. Visit the website biharboardonline.bihar.gov.in to check the results. Click the link of the 10th result on the website. Submit your roll number and roll code. Result will come on your screen. You can print out your result. Bihar Board's Matriculation Examination 2019 saw 16 lakh 60 thousand candidates. This time Bihar Board had completed the process of registration from the board to fill the board form online. At the same time, many strict steps were taken to prevent duplication of examination centers. Being the first major academic milestone in the life of young students, the BSEB 10th Result 2019 holds great significance for the students. In fact, the students have been under extreme pressure to perform well in the Bihar Matric Result 2019. Some of this pressure stems from the inability of the students to manage their expectations with regards to the upcoming Bihar Board 10th Result 2019. In order to help students manage their expectations and nerves, it is wise to look at the last year's BSEB Result data. Key statistics from BSEB Board Class 10 Result 2017 are provided below for this purpose. The Bihar Board conducted the Class 10 examinations from February 21 to 28 last year and declared the result on June 26. Soon after the formal declaration of the Bihar Board Class 10 Results 2019, the scorecards will be available on the official website of the board i.e. biharboard.ac.in. The Bihar School Examination Board (BSEB) is the apex body for monitoring, regulation and development of secondary and higher secondary level school education in the state. Headquartered in the capital city of Patna, the Bihar Board conducts the annual matric exams for 10th class students and intermediate exams for 12th class students. In addition to the annual school board exams, the BSEB also organises other exams such as Diploma in Physical Education, Certificate in Physical Education and Teachers Training Examination.